The assignment of identifiers such as addresses and names, to ensure that they are created and allocated in a way that is acceptable to all is the main factor for the success of the Internet. So some sort of centralized organization is required. The organization originally responsible for this task was Internet Assigned Names and Numbers (IANA). IANA was originally charged with the task of managing which IP address blocks had been assigned to different companies and groups, and maintaining periodically-published lists of Internet parameters such as TCP and UDP Port Numbers. It also was in charge of DNS registrations. As the Internet grew, there was the requirement of a additional authority to manage the growing load. So by the mid 90s the Internet Corporation for Assigned names and Numbers (ICANN) came into existence. ICANN is now officially in charge of all of the centralized registration tasks including IP address assignment, DNS domain name assignment, and protocol parameters management. This development would have meant that IANA would have been completely replaced by ICAAN. But that did not happen. Instead, IANA was put under ICANN and is now in charge of IANA. Both organizations are responsible for IP addresses and parameters. Thus there are basically no differences between the two. These two together are at the top level of the Internet’s Name and Addresses registration and their delegation process. They also maintain the 13 root servers in the world which are at the top of the Domain name system tree. .ARPA : A temporary domain used many years ago for transition from hosts (flat file) to DNS. Its name refers to the ARPAnet, the precursor of the modern Internet. Today this domain is used for reverse DNS resolution. .COM : Corporations and businesses. .EDU : Universities and other educational organizations. .ORG : Other organizations that don’t fit into any of the classifications above. American Monopoly of the Generic Domains : The United States organizations and companies dominate the generic TLDs. This is not surprising, given that the Internet was first developed in the U.S.A., but it still presents a problem for certain groups. For example, if the United States military controls the .MIL domain where does, say, India’s military fit into the name space? Language : Most of the generic domains are populated by organizations that primarily do business in English. There are hundreds of languages in the world, however, and it’s easier for the speakers of those tongues if they can more readily locate resources they can understand. Local Control : Countries around the world rarely agree on much, and they certainly differ on how organizations within their nations should have their Internet presence arranged. There was a desire on the parts of many to allow nations to have the ability to set up subsets of the name space for their own use. Another fine eg would be this : In the U.S , the authority in charge of this domain chose to make it follow a strict geographical hierarchy, so every domain must be of the form “organization.city.state-code.US”. So, to use this part of the name space, a company “xyz”in Boston must be within the “xyz.boston.ma.us” domain. This format has made the name more longer and harder to guess. Further, if you weren’t aware of the city in which the company is located, it would have added to the trouble finding it out. Finally, the .US authority eventually abandoned the strict geographical hierarchy due to its non-acceptance. IANA is responsible for management of the DNS root zone. The role is in assigning the operators of top-level domains, such as .UK and .COM, and maintaining their technical and administrative details. Root Zone Database : IANA’s Root Zone Database contains the authoritative record of the operators of various top-level domains. The Root Zone Database represents the delegation details of top-level domains, including gTLDs such as “.COM”, and country-code TLDs such as “.UK”. As the manager of the DNS root zone, IANA is responsible for coordinating these delegations in accordance with its policies and procedures. A domain name REGISTRY, is a database of all domain names registered in a top-level domain. A registry operator, also called a Network Information Center (NIC), is the part of the Domain Name System (DNS) of the Internet that keeps the database of domain names, and generates the zone files which convert domain names to IP addresses. Each NIC is an organisation that manages the registration of Domain names within the top-level domains for which it is responsible, controls the policies of domain name allocation, and technically operates its top-level domain. It is potentially distinct from a domain name registrar. A domain name REGISTRAR is an organization or commercial entity, accredited by the Internet Corporation for Assigned Names and Numbers (ICANN) or by a national country code top-level domain (ccTLD) authority, to manage the reservation of Internet domain names in accordance with the guidelines of the designated domain name registries and offer such services to the public. Such a registrar is know as “Accredited Registrar” or “Designated Registrar”. A domain name REGISTRANT is a person/organization who/which owns a domain name in the webspace ( i.e. in the world of Internet) so that he /it can create a website and start sharing information on the Internet. Or going by the name, a registrant is the one which approached a registrar and has registered a domain name in his name and is the owner of it. 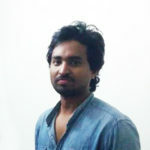 Once became a registrant of a domain name, he is the sole owner of it and no other person on the planet can request for the same domain name in the Internet’s webspace or namespace until the domain name gets expired and is deleted from the registry thereby becoming publically available. Did you know a few hosts out there, register the domain name in their own names and not yours ? Get the domains registered in your name. Please refer to the links for the list of gTLDs & ccTLDs. In the tables for gTLDs and ccTLDs, Sponsoring Organisation mentioned, is the “Domain Name Registry” for the respective domain. These organisations have been directly authorized by ICAAN to hold the Root Zone Database for the domains they are handling i.e. a domain registry comes just below the ICANN/IANA in the Domain name system authority hierarchy. One of the famous registry is “Verisign” which handles .COM and .NET domains, NeuStar Inc. for .BIZ etc. This means that they are the ultimate authority (excluding ICANN/IANA) for matters pertaining to the TLDs they handle. In the young age of the Domain name system, they (Sponsoring Organisation) handled all the name registrations of the domain under their authority. Later on as the Internet became more crowded, the load on them increased. Further more, these organisations increased the charges for registration (Grreeed is human nature :-D). So with the aim to increase competition in this field and decrease the rates, ICANN made the domain name registration more public i.e. they started lending out the registration right to other private firms. These firms will now have the power to register a domain name into the world of Internet. For this, they will have to register with ICANN for the TLD domain they are interested in. Once they get registered, they will be an ICANN “Accredited Registrar” or “Designated Registrar” or simply a “Domain Name Registrar” (eg: goDaddy). For becoming an accredited registrar, one need not contact ICANN directly. They will have to find out which is the “Domain Registry” for the TLD they are interested in and just register at the particular registry’s website. This is one of the main differences between a “registry” and a “registrar”. A particular TLD’s registry has the power to authorize a 3rd party as that TLD’s accredited registrar and people who wish to start a domain(or website) can buy a domain name from this registrar. One can become an accredited registrar for more than 1 TLDs. For eg : if a company needs to become the accredited registrar for the TLDs – .com , .biz and .coop , they will have to individually register with the : VeriSign Global Registry Services, DotAsia Organisation Ltd. and DotCooperation LLC respectively. Once they get registered they attain the “Accredited Registrar” status for the TLDs .COM, .BIZ & .COOP. Their company name will automatically be entered into the “Accredited Registrar” list of ICANN. The company can then go onto provide domain names under .COM, .BIZ & .COOP to clients. system hierarchy, and involves delegating administrative responsibility of “top-level domains”, which are the last segment of a domain name, such as .com, .uk and .nz. Part of this task includes evaluating requests to change the operators of country code domains, as well as day-to-day maintenance of the details of the existing operators. IANA is responsible for global coordination of the Internet Protocol addressing systems, as well as the Autonomous System Numbers (ASN) used for routing Internet traffic. Just like maintaining the Name system, IANA has its subsidiaries for looking after the Number system. The NIR is an organization directly under the umbrella of a RIR with the task of coordinating IP address allocations and other Internet resource management functions at a national level within a country. An Internet Service Provider(ISP) , also sometimes referred to as an Internet Access Provider (IAP), is a company that offers its customers access to the Internet. The ISP connects to its customers using a data transmission technology appropriate for delivering IP datagrams as dial-up, DSL, wireless or dedicated high-speed interconnects. In India we have the following ISPs : BSNL, Reliance, TATA etc..
And finally from the organisations in the Level 2 we the end users get the connection. Thus in the paragraphs above we saw the authority hierarchy in the management of Internet’s NAMES & NUMBERS. 4) Protocol Assignments : IANA is responsible for maintaining many of the codes and numbers contained in a variety of Internet protocols. Note : Having understood all these one might still wonder the difference between IANA & ICANN. IANA is one of the Internet’s oldest institutions, with its activities dating back to the 1970s. Today it is operated by ICANN, an internationally-organized non-profit organization set up by the Internet community in Sept. 30 1998 to help coordinate IANA’s areas of responsibilities. Thus basically there is no difference between them. So their names are used interchangeably in many contexts.